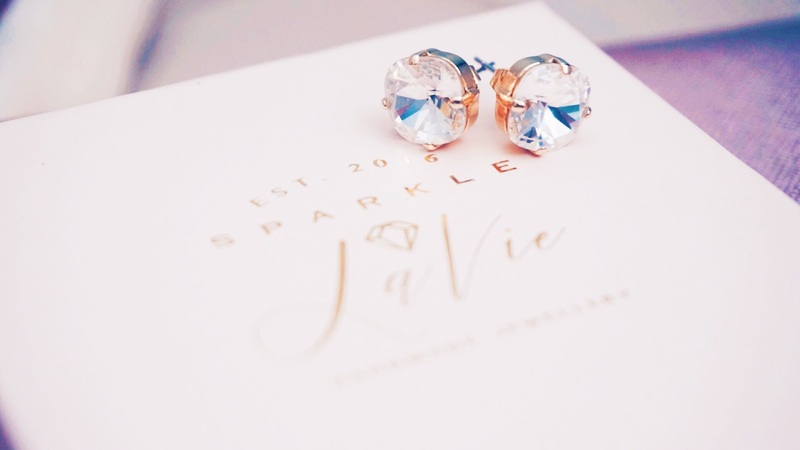 I am one to be all about Stud Earrings, simple elegant and sophisticated jewels rather than those dangly earrings so this pair of little gems are perfect for me. Christmas time, has come and gone and we are at the end of another year. 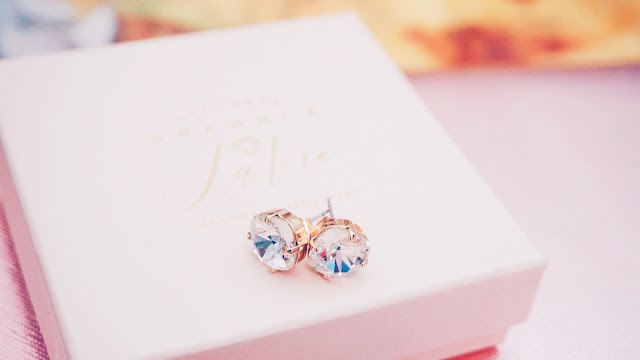 I was after some simple stud earrings and knew who to go to straight away. 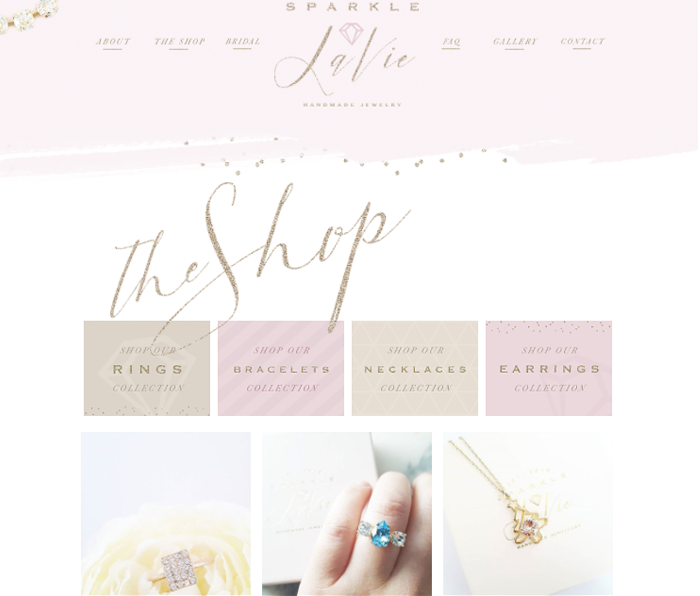 Sparkle La Vie is my sister's jewellery company and without sounding biased - has some really gorgeous pieces to choose from. I already own a pair of these little numbers in Rose Gold but I was after something just a little more simple and obviously with Gold. I am a Gold person - the only time you will see me with a silver number is probably on an Engagement/Promise Ring which would probably be a Diamond Cushion Cut White Gold which is still gold may I add. Non the Less these gorgeous Earrings are called The Majesty Studs - Crystal. 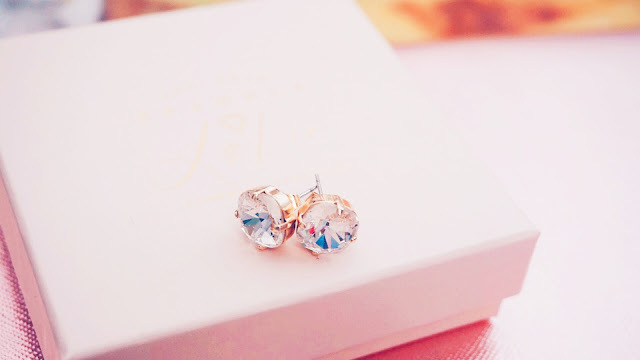 I opted for the Gold Plated Backing but there is also an option of Silver or Rose Gold Plated. They Retail for €21.99. SPARKLE LA VIE have also given my readers 10% off using code: STEFY10 at checkout. 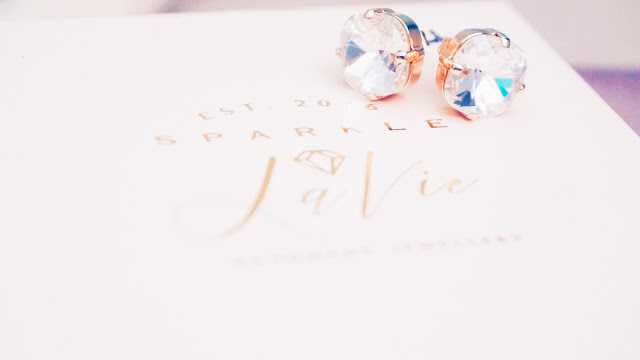 If you want to see what SPARKLE LA VIE has, make sure to visit their FACEBOOK and INSTAGRAM pages for constant updates on new products and they also do custom pieces so do reach out if there is anything in particular you may like.